"Who says you can't get a jolt of caffeine with your cocktail? Add a shot of espresso to this chocolatey drink for an added pick-me-up." 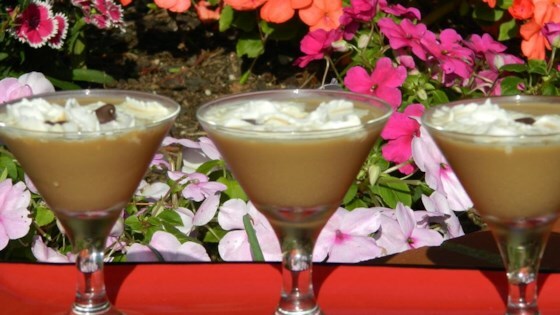 Combine espresso, vodka, coffee liqueur, creme de cacao, and ice in a cocktail shaker. Cover and shake until chilled. Strain into a chilled martini glass. I used Smirnoff Whipped Vodka in this recipe. I felt like making this "fizzy" so I topped it off with club soda which cut the sweetness a bit. VERY good. I used Pinnacle Whipped vodka and topped with whipped cream - delicious. Sometimes I add shaved chocolate to the rim of the glass. Delicious!